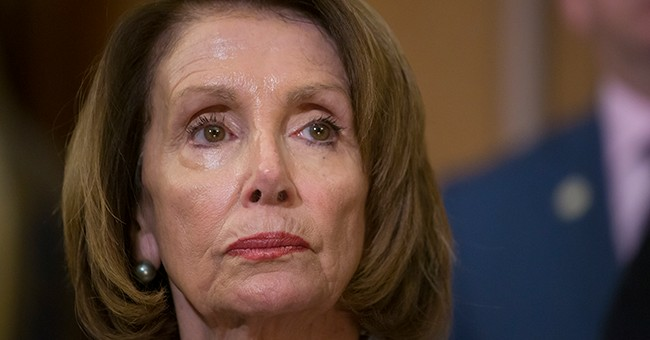 In the wake of an eruption of backlash toward Virginia Governor Ralph Northam, who recently advocated for late term and post-birth abortion, Speaker of the House Nancy Pelosi refused to comment on Northam’s controversial sentiments. Gov. Northam, previously a physician, endorsed a bill in the Virginia Legislature introduced by Del. Kathy Tran, that would effectively allow late-term abortions for any reason, even once the mother is in labor. Despite the Democratic Party at-large repeatedly claiming to not be fans of late term abortion, the pair of similar bills passed in Virginia and New York do not help their case. As a whole, the party leadership hides behind the talking points of ‘woman’s choice’ and ‘rare circumstances’ while they receive millions from Planned Parenthood and NARAL who encourage women to ‘shout their abortion.’ Indeed, the financial backing of these groups, coupled with the electoral advantage of appeasing their progressive followers, have dually incentivized Democrats to abandon their once-reasonable stance for a far-left ideology surrounding abortion. At one time, Democrats embraced pro-choice in its truest meaning. The party viewed abortion as a solemn choice for women in uncomfortable or unforeseen circumstances; most iconically, President Bill Clinton’s ‘Safe, legal and rare’ ideology rang-true with Democrats for decades. Speaker Pelosi’s direct avoidance of commenting on Governor Northam’s extreme comments highlights the Democratic Party’s radical 180 degree spin on abortion. Not only has the party moved further left on this issue than any traditional Democrat would have ever thought, but Democrats have moved abortion to the top of their priority list. “Three in four Americans (75 percent) say abortion should be limited to – at most – the first three months of pregnancy. This includes most of those who identify as Republicans (92 percent), independents (78 percent) and Democrats (60 percent). It also includes more than six in 10 (61 percent) who identify as pro-choice...By a double-digit margin, a majority of all Americans oppose any taxpayer funding of abortion (54 percent to 39 percent),” the poll found. With 2020 on the horizon, these radical abortion bills will be a crucial issue that Democrats cannot avoid; every candidate can and should be asked to defend or condemn late-term abortion. And as the Democratic Party should have learned after Hillary Clinton’s landslide loss in 2016, extremism and identity politics do not resonate with the average American, and will not give them a White House win, no matter the popularity of President Trump.